These three words are at the heart of creating Morena West in Sienna Hills. Convenient west side living and elegant home designs make this beautiful, low maintenance, urban community a masterpiece in the making. 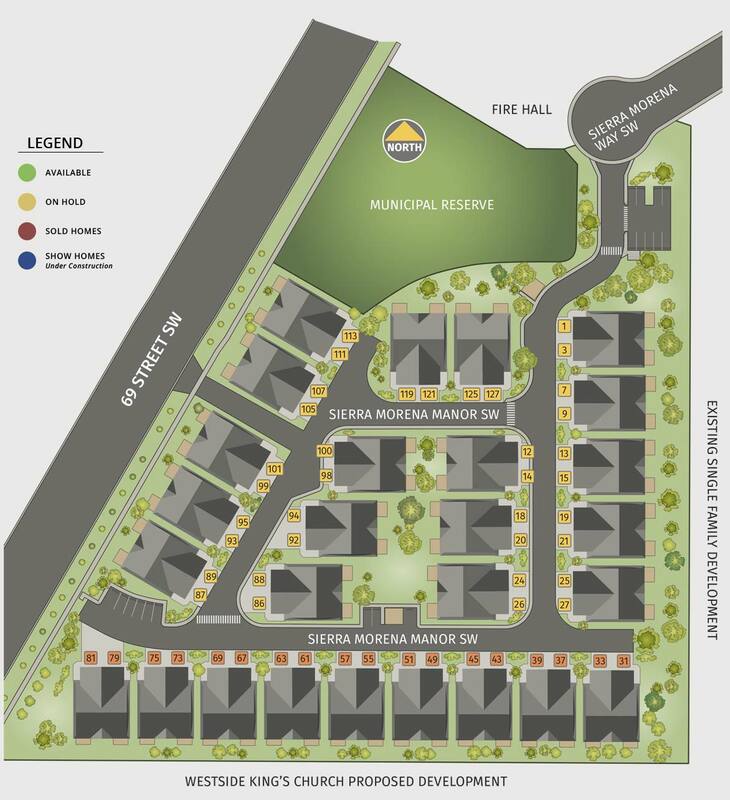 With just 54 distinguished bungalow villas available from the $690's, this exclusive new community sets a new standard in condominium living. Each Morena West bungalow villa features 1471 square feet of developed main floor living and an option to develop a basement. The sophisticated floorplans include 2-bedrooms, 2-bathrooms, a full size gourmet kitchen open to spacious living and dining, and a large back deck which overlooks professionally landscaped and maintained grounds. Lower level development options raise the total living space to 2251-2610 sqare feet. Entertain family and friends in the generous living area that opens onto a spacious deck. Create gourmet magic in the chef’s kitchen with a center island. Relax in the spacious master bedroom, featuring an ensuite spa and roomy walk-in closet, complete with built-in organizers. We call this easy living but we’re confident you’ll want to call it home. Opportunity for upgraded finishes and fixtures. Please see the Sales Associate for details of our upgrade offerings. Morena West delivers relaxed community living in a convenient, yet serene, setting. Travel east for a quick connection to the city, head west and the mountains are closer than ever. Take a weekend skiing or hiking trip, or fly off to exotic locales without the worry of outdoor home maintenance. These stylish lock-and-leave bungalow villas emphasize carefree living with space and convenience. It’s why Morena West is an affordable option for those seeking a naturally beautiful home in a beautifully natural setting. If you are new to the condominium environment you may be wondering about the many benefits that come with condominium ownership. Morena West condominium living provides the benefits of maintenance free living at its best. Rockford Group has selected a seasoned and independent property manager for Morena West. This manager will be responsible for all common property and maintenance. They will deal with any issues that may arise, to ensure your community remains a great place to live for years to come. Now that’s true peace of mind. By clicking this button, you agree to receive periodic electronic marketing and promotional communications from Rockford Developments and its employees and representatives, which may include, among other things, newsletters, promotions, invitations to social events and announcements. Consent may be withdrawn at any time by using the unsubscribe mechanism found in the electronic marketing and promotional communications.